Why is "traverse 3" a good solution and "traverse 1" not? What is the difference in accuracy and reliability? 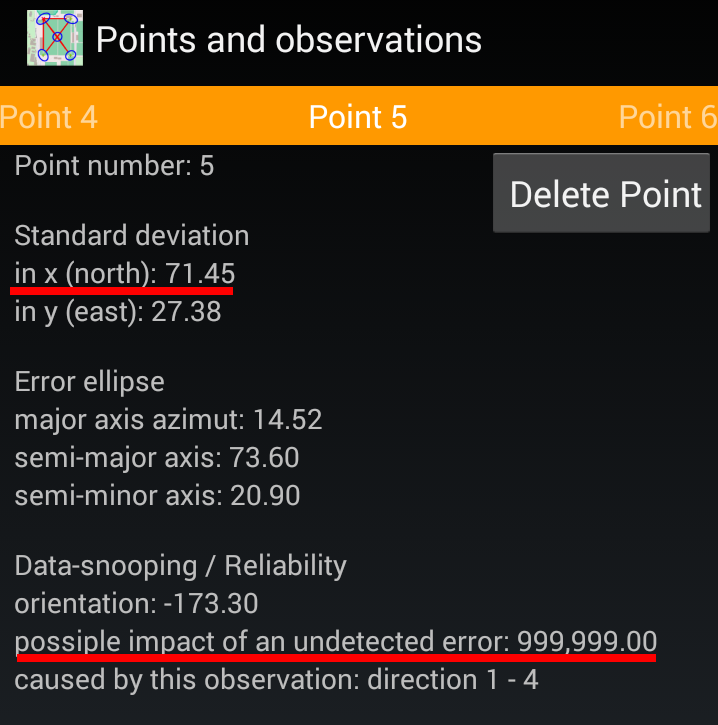 Following examples are calculated with BestNetwork. Traverse is a method to establish control networks. 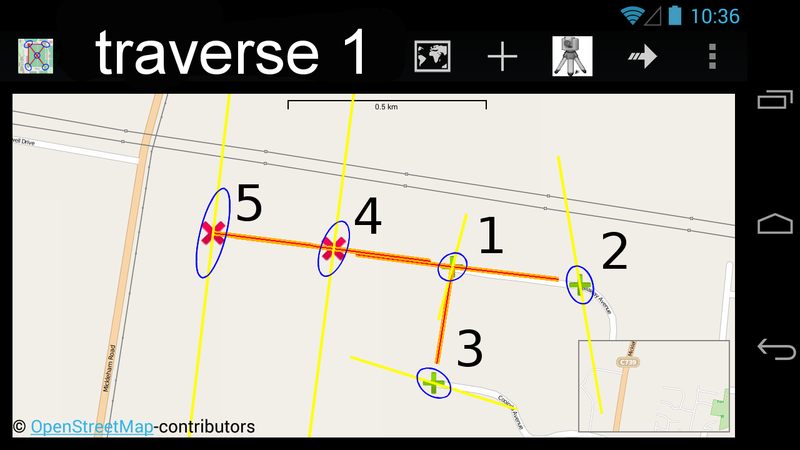 Traverse networks involve placing survey stations along a line and then using the previously surveyed points with known coordinates as a base for observing the next point. - 2 new points with unknown coordinates are marked in red (points 4, 5). 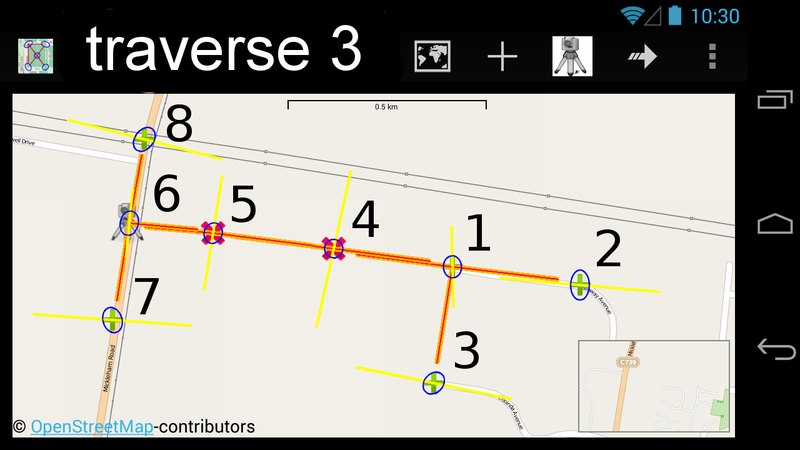 - Existing points with known coordinates are marked in green (points 1, 2, 3, 6, 7 ,8). - Existing points with known coordinates are marked in green (points 1, 2, 3). Most critical point is number 5. 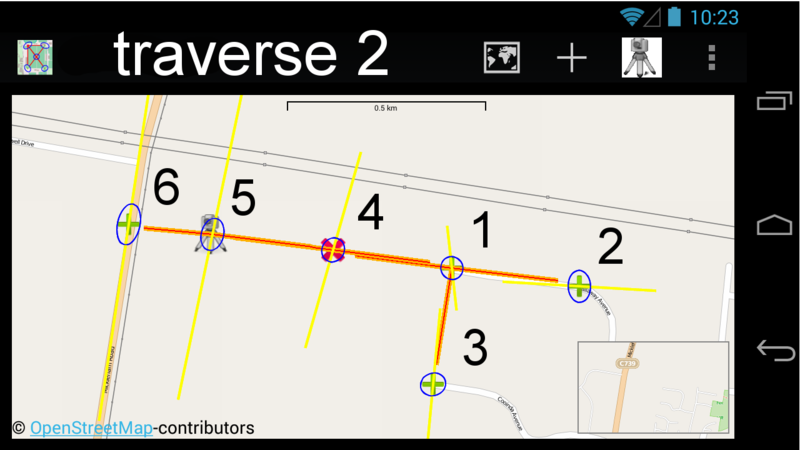 Let's see the numerical result of traverse 1. Add station 5 to traverse 1. What result can we expect with this additional effort? - Green points are existing points with known coordinates (points 1, 2, 3, 6). 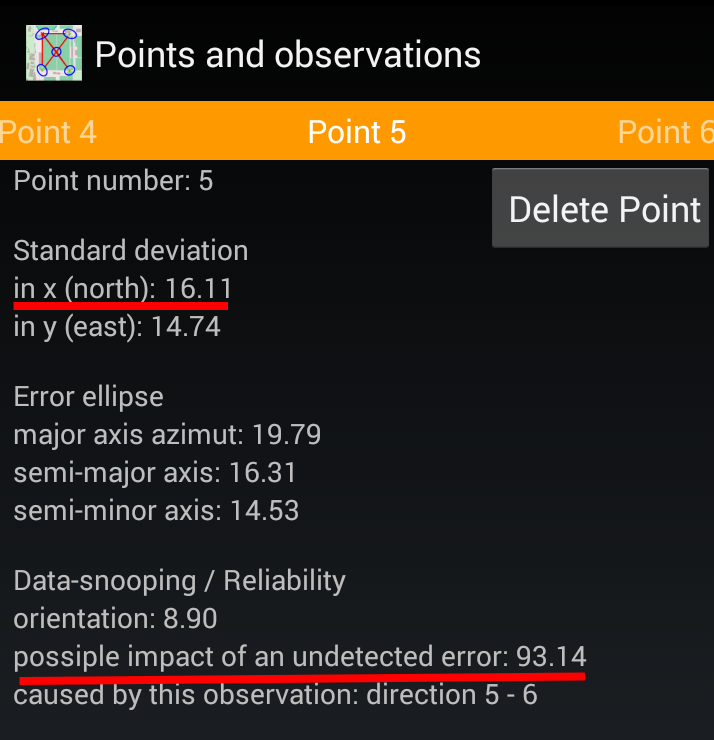 The report shows that the coordinates of point number 5 are not reliable. A false observation (or in this case wrong angle) from station 5 to target number 6 can cause a position error of 270 mm. Finally see the result of traverse 3. It takes a bit more time to measure all 4 stations. Is this effort worth it? 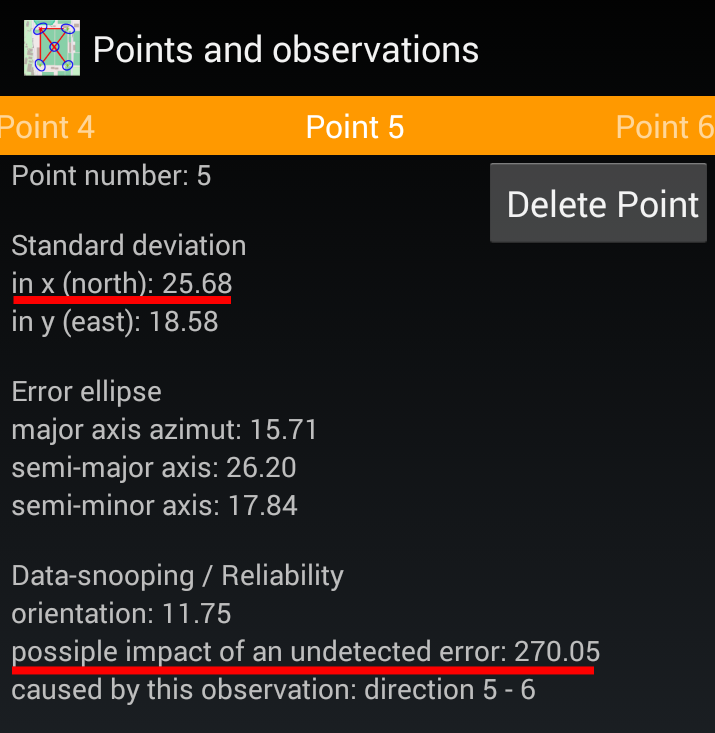 The report shows that the coordinates of point number 5 are reliable. A false observation (or in this case false angle) from station 5 to target number 6 can cause a position error of 93 mm. - Traverse 1 is clearly a bad solution as the resulting coordinates of point 5 are not controlled in any way. - Traverse 2 might be an option.There is some control and depending on the situation this may or may not be enough. - Traverse 3 results are good in terms of accuracy and reliability of point 5 coordinates but it takes time to measure all 4 stations. Check your own network design with BestNetwork.